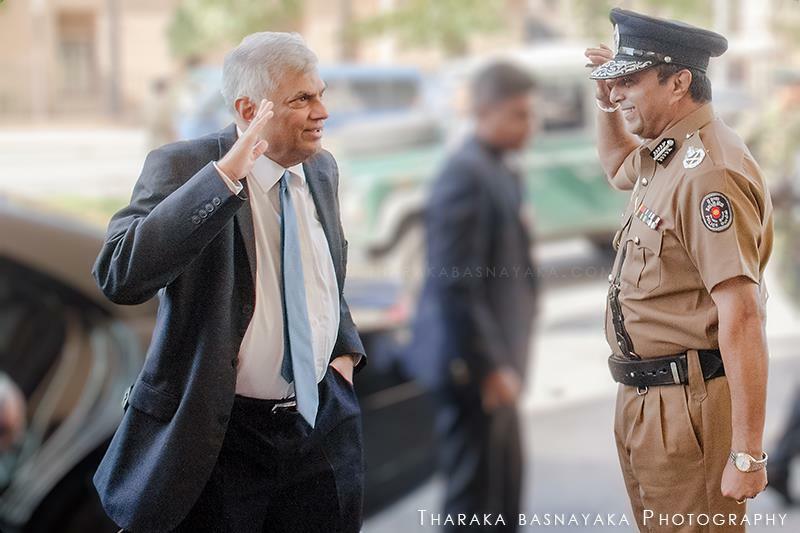 Wickremesinghe, in a media release, further stated that there are reports claiming that the B Report submitted by the Police to the Courts was incomplete. He has accordingly instructed the DIG in charge of the Batticaloa District to conduct a full inquiry into the incident, while insisting that the Ministry of Law and Order will ensure that the law will be properly enforced and thereby public confidence enhanced. 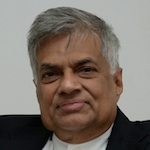 Wickremesinghe has also expressed gratitude to the Maha Sangha and the Muslim Maulavis as well as regional media practitioners and others for their efforts to maintain peace during the tense period. Mr. Ranilpaksha, thank you for expressing your guilt! Can you consider stepping down as PM at least now? Two days ago twenty three Tamil protestors were arrested by a Muslim police officer in charge of a station over a dispute of a land at Attampalam Amparai used by Tamils as their cemetery for several years but a Muslim professor claims as his own. Two women released on bail and other twenty one men are detained for two weeks by an acting magistrate. All of them were asked to attend the station to settle the dispute but the fanatical police officer behaved differently when they attended and produced them in Courts. Now those poor tamil villagers are suffering in remand prison facing charges, while no TNA politician raises his voice in support. I urge the Prime Minister to look into this matter too as we all know Sampanthan and his TNA has no interest in Tamils’ welfare. Magistrates are often misled by, or are reluctant to ‘displease’ police, or hardly ever ask those produced by police, in private, for ‘their side’ of the story, IN PRIVATE, as required by law. Thus, injustice is entrenched in the lowest level of our judiciary. This magistrate having been ‘acting’ would have been wary of his impermanency, and of his future aspirations. This is why, in civilised countries, all accused are permitted to retain a lawyer who should be present during interrogation by police. If unable, a lawyer is assigned by the state. When will Sri Lanka will reach this level of justice? Is the PM/Minister of Law & Order aware ?? 1. The name of the village is Attappalam. 2. The Muslim Professor did NOT claim the cemetery as his land. encroached on his land to expand the cemetery. Secretary but the Tamils objected and assaulted the DS. went to perform his duty. There is NOTHING Unusual in this incident and if anyone is to be blamed, it is the Tamil villagers not only for encroaching on private land but also taking the law into their hands by Assaulting a Public Official in performance of his duty. Stop peddling Rumours please. Don’t we have enough problems in the country between the people already? At last we are beginning to see some silver lining in the dark clouds. We hope and pray this change of heart will continue unabated come what may. “Honesty is the best policy”. Nice words. We have heard similar words countless times before on many issues facing the country. What is Needed URGENTLY is ACTION Mr. PM. We will trust you when you ACT. Not before. There is no point in asking for an investigation, all the Senior Police Officers who could not control the situation should be transferred immediately to difficult areas as punishment. Same should apply in Kandy District as well. If not this communal riots are going to increase. Anyone spreading false rumors, conspiracy theories, and setting one Sri Lankan against another should be tied to a tree and flogged. Stop being such a drama queen. The sky is not falling. This will not happen as it is political suicide. In Alutgama incident, only the Tamil SP who stood up against the violence was transferred and none of the Sinhala officers who turned a blind eye to it. This is the reality whether we like it or not. The PM must put aside all political reasons, and deal with this NOW. We need a firm hand to stop this from escalating. If there are evil elements with their own agendas, instigating this, the PM must deal with them too. If the Sirisena/Wickremasinghe government want this country to progress, and not be bloodied by ethnic violence again, nip this in the bud. If the BBS thugs are hate mongering and spreading fear among the ignorant, deal with these scumbags too. Come on Mr. Law and Order, do your job now. Lapses in law enforcement is the rule and the recent Ampara incident is no exception. GoSL must put this right as our future depends on this and this alone. bumbling fool ranil should be held responsible. so many property damage for a criminal matter . why monks only come for this death. what about the 15 odd muders in sl done daily in the buddhist country. just talking crap.ranil wants a race war, to win election by doing nothing. another war is coming because of poor leadership. This is what you get if you do not have guts to enforce law and order… Police is doing nothing when mobs sets fire to mosques, houses and shops.. what type of leadership you have ? I hope that impeachment motion go ahead on Tuesday .. Your leadership bring nothing but destruction to Sri Lanka.. You have been defeated 25 times now.. You better go home now with respects.. If you can not control mobs like this what can you do if serious riot break out.. You like your uncle let the mobs to kill Tamils in 1983 in Colombo wanted to let mobs to do much damage to all properties .. Whose properties those mobs damaged. Is it national wealth and national environment that damage with such destructions.. you have utterly failed in your two years now is time for you to go and give the leadership to some one stronger in leadership.. someone with iron grip on power to take this nation forward.. peace is a must for development . Now, torusity will be damaged .. Now business will be damaged with this sort of violence continues.. Imagine the stupidity of these people to destroy any existing remote chances SL might have to prosper after being in the dark for 3 decades with still struggling to come out of its after-shocks. How long are we going to play with ‘poor-country’ card to beg and depend on other nations charity? Instead of starting to think of our dignity and power as a nation, just finding another way to put us another 50 or more years behind other counterparts in the region. If we go at this pace for our own destruction, I wouldn’t be surprised if we will start to send our women as maid to India, Bangladesh in few years time. Lanka is a small country in a struggle between Buddhists , Catholics, and Tamils. The truth is that no one cares about Muslims except Muslims. Anglicans and Burgers are more important Muslims. Yahapalana leaders should take the full responsibility of pushing the country to anarchy. They have no solution for any issue whether it is economic, social, religious or political. Just trying to put plasters to all issues and hiding the reality is their solution. If we have a stable government then, the people won’t take the law and order to their hands. Is it Ranil’s golden chance to implement emergency rule and catch all the Sinhala “ruffians” and “hooligans” as what was done in the 90’s? Mr. PM any comments by you lapses of law enforcement in the case of BOND Scam? Your lack of admittance or comments bit out of character for your clean pure image. I am not” peddling rumours ” and I have no interest to do so. My facts were taken from recognised Tamil websites run by journalists in Batticaloa. There was no necessity for the Tamils to expand their cemetery. Are they dying in hundreads or thousands for them to expand ? It was otherway round, claiming a part of the cemetery land as his own by a Muslim professor. I have rechecked the facts from my friends in Batti and found them correct. Please note that ” creating mischief” is NOT within my areas of interest and I would not degrade myself at any time to that level. Nice to know you are not ” peddling rumours ” . But the fact is your sources are not reliable as you seem to think. Facts are as I have stated which I got them from a very responsible gentleman from the area who lives very close to Attappalam, the place of the incident. If ” creating mischief” ‘is NOT within’ your ‘areas of interest’, you must stop relying the websites you source your information from. GRATITUDE to Mahasanga and Mowlavis is not going help the Law and Order problems. It is you, the head of the government and minister of law and order is responsible. It appears that you are trying to eclipse your self behind religious leaders to safe guard yourself from the wrath of the people. Idiots only fall in to potholes in broad daylight, the same into which they fell during night. Once again I say, you have failed MISERABLY in your duty not only as the Prime Minister to meet the aspirations of either Sinhalese, Tamils, Muslims or Burghers; but also as the incumbent Minister of Law and Order to uphold rule of law. Please step down and go home honourably before the public send you home.If the people sent Rajapksa home, you are no one near!